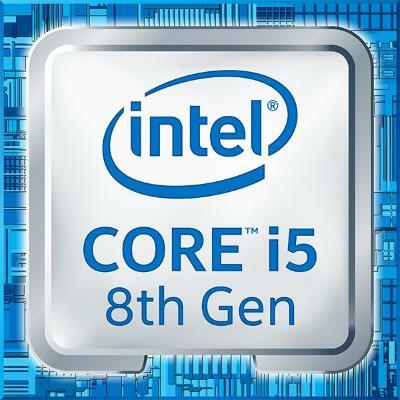 The 8th Generation Intel Core i5-8350U is a powerful quad-core laptop processor. It is designed for use in business laptops, as opposed to its i5-8250U consumer-oriented sibling. The i5-8350U is slightly faster than the i5-8250U (1.7 GHz – 3.6 GHz vs 1.6 GHz – 3.4 GHz). In addition, the i5-8350U features Intel vPro technology, which improves system management and security. These are very important in business computing environments. Benchmarks of the i5-8350U show it is one the fastest laptop CPUs on the market, together with its vPro-equipped i7 counterpart – the i7-8650U. 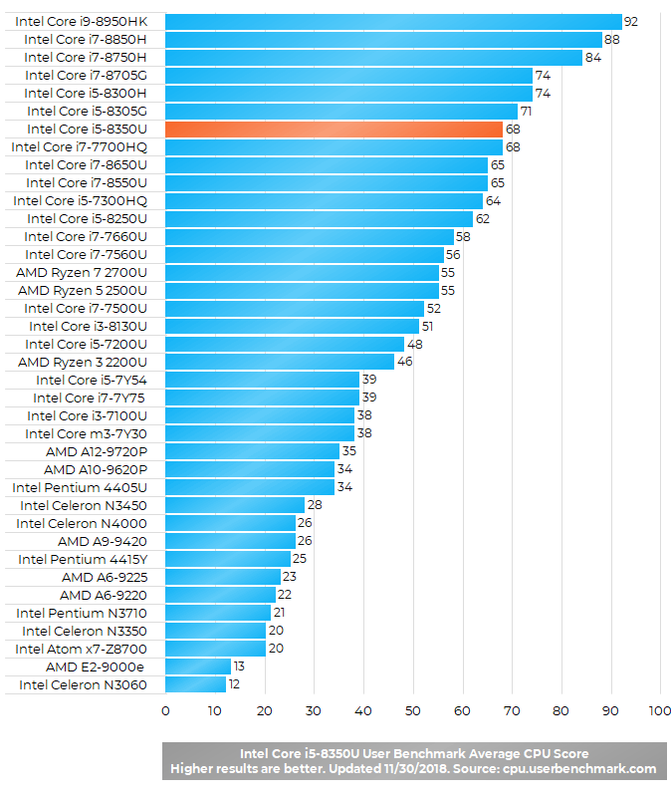 That’s exceptional, because the i5-8350U (like other U-series chips) consumes 15 Watts of power, as opposed to 35 Watts of Intel Core i HQ series with similar benchmark scores. 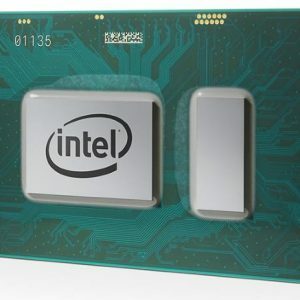 The Core i5-8350U features entry-level Intel UHD 620 integrated graphics (review).